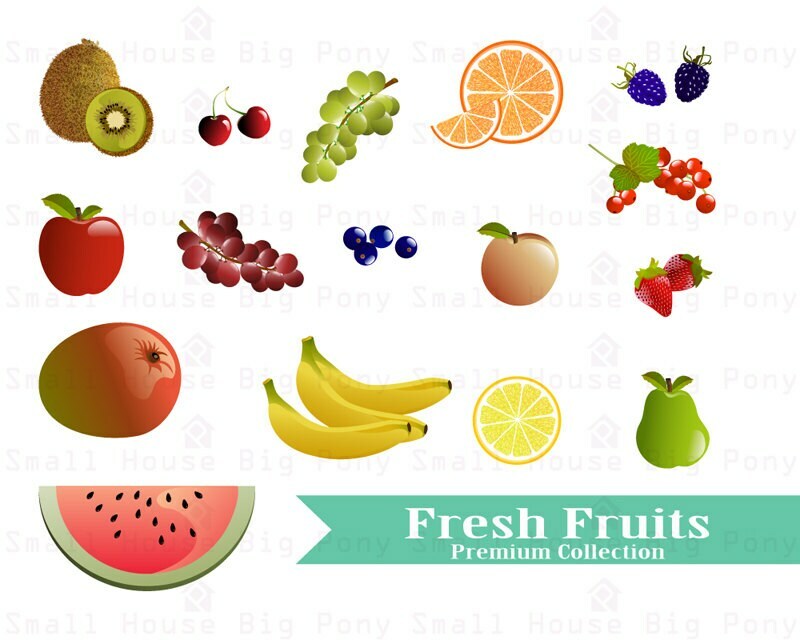 A set of fresh glossy fruits for your design needs. A nice addition to any template design, scrapbooking, menu, cook book, dessert menus, card making, party announcement cards, blogs or logos. Everything in my shop is my original artwork. You can resell any project you create using these illustrations as long as credit is given. (Design courtesy of: https://www.etsy.com/shop/SmallHouseBigPony) or purchase our No Credit Commercial License.